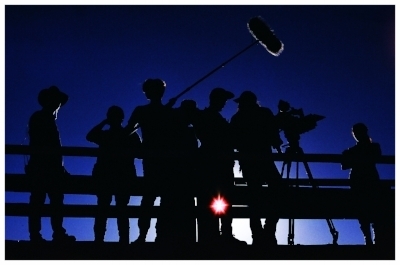 The Saddleback College Cinema program is generally regarded as one of the best of its kind in the world, specializing in giving students hands-on, real world experience in the fields of visual storytelling, aesthetics, composition, directing, producing, screenwriting, cinematography, lighting, audio and editing. Teaching you the skills to thrive in the film industry is our mission and recent graduates of the program have worked on productions such as Spiderman, Pirates of the Caribbean, Transformers, Hunger Games, Twilight, Game of Thrones, Walking Dead, Mad Men, Star Trek, the Dark Knight, Jurassic World, and many, many more. We use the latest technology including Red Digital Cinema cameras and Saddleback offers a full set of filmmaking tools such as dollies, steadicams, and industry-standard lighting, camera, and audio packages. Our productions each year are featured in the Newport Beach Film Festival and we consistently send our students to the top university film schools or place them in desirable internships and jobs. It is entirely common for our Cinema students to begin getting paid jobs in filmmaking within their second semester in the program. If you are serious about a career in entertainment then we want you and the Saddleback College Cinema program is where you want to be.